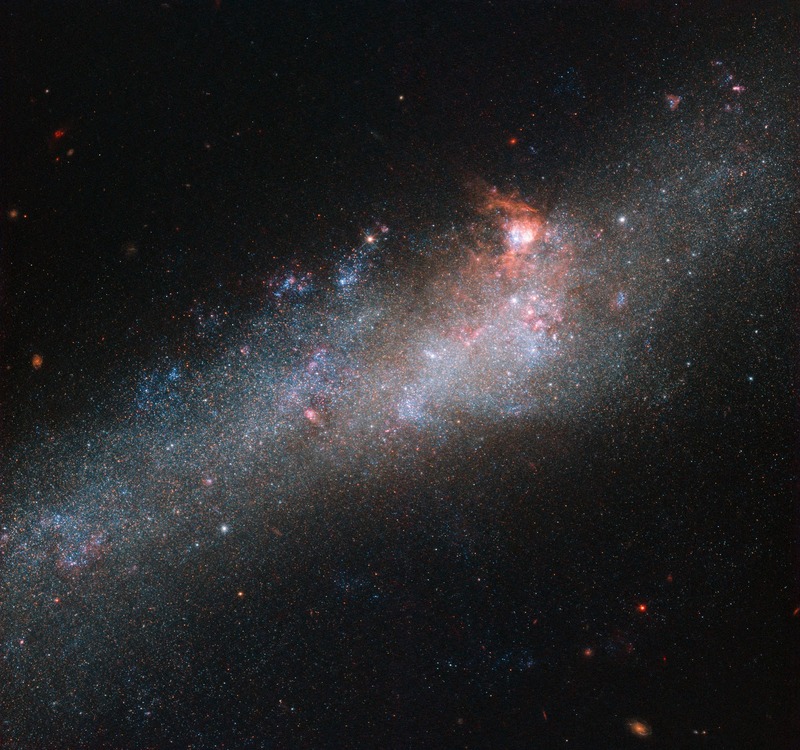 This unusual shape is thought to be due to an interaction between NGC 4656 and a couple of near neighbors, NGC 4631 (otherwise known as The Whale Galaxy) and NGC 4627 (a small elliptical). Galactic interactions can completely reshape a celestial object, shifting and warping its constituent gas, stars, and dust into bizarre and beautiful configurations. The NASA/ESA Hubble Space Telescope has spied a large number of interacting galaxies over the years, from the cosmic rose of Arp 273 to the egg-penguin duo of Arp 142 and the pinwheel swirls of Arp 240. More Hubble images of interacting galaxies can be seen here.